During the 90-plus minute film, fans also discuss their love for and longstanding commitment to the band including guest footage they shot at various 311 events. 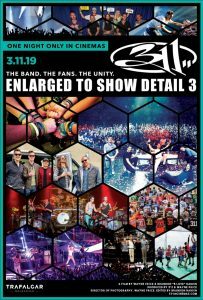 In addition to revealing the intimate and personal interaction between 311 and their fanbase, ETSD3 includes revealing and emotional interviews with band members, Nick Hexum (vocals, guitar), Doug “SA” Martinez (vocals, turntables), Tim Mahoney (guitar), P-Nut (bass) and Chad Sexton (drums). The camera work, editing and interview content complement 311’s offbeat yet irresistible songcraft, creating a striking and iconoclastic documentary that will instantly appeal to fans as well as anyone interested in dramatic and triumphant human-interest stories. While ETSD3 stands alone as an original documentary, it also serves as a companion piece to the 311’s earlier movies, 1996’s ETSD1 and 2001’s ETSD2. ETSD3 is the first to be shown in cinemas. 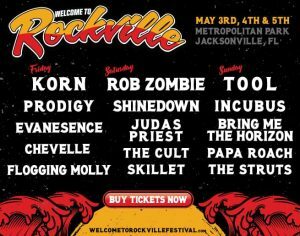 Prior to ETSD3’s release, 311 will hit the road on a select run of tour dates including a two-night run at the House of Blues in Orlando and embark on their sixth 311 cruise from Tampa to the Caribbean. They will also make several appearances in Colorado including headlining the famed Red Rocks Amphitheater in April. All current dates follow below.